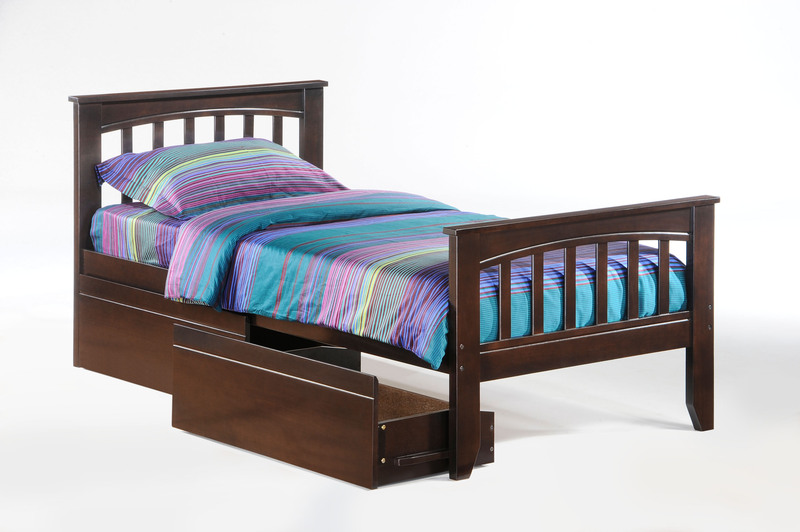 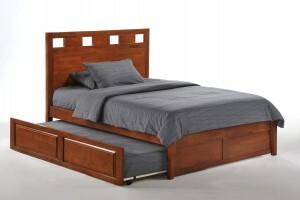 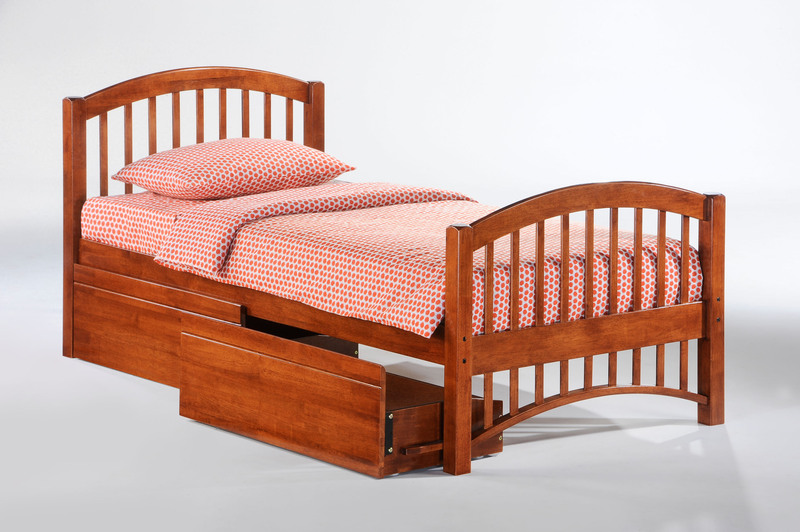 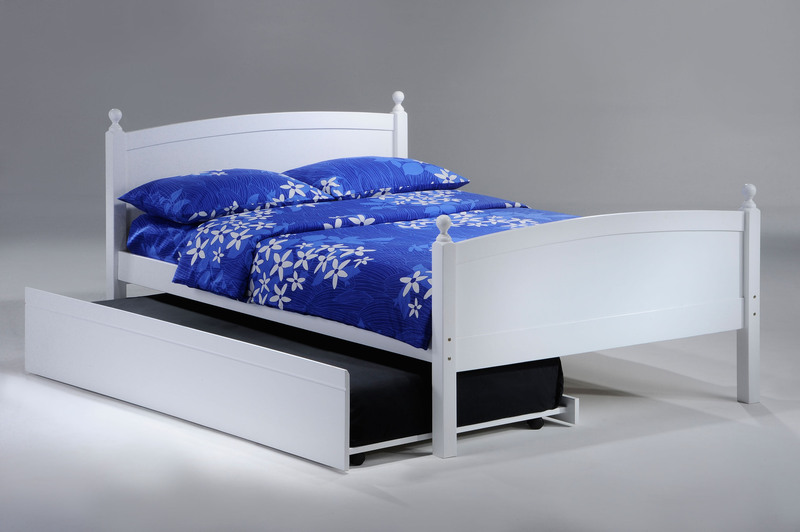 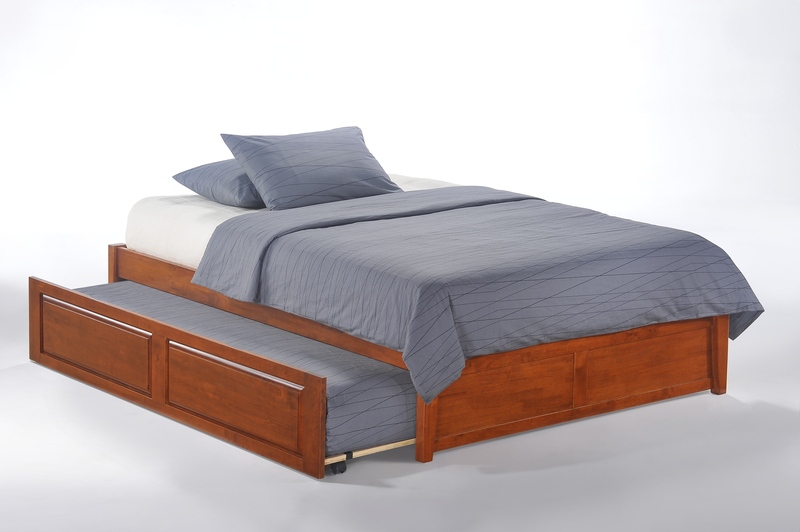 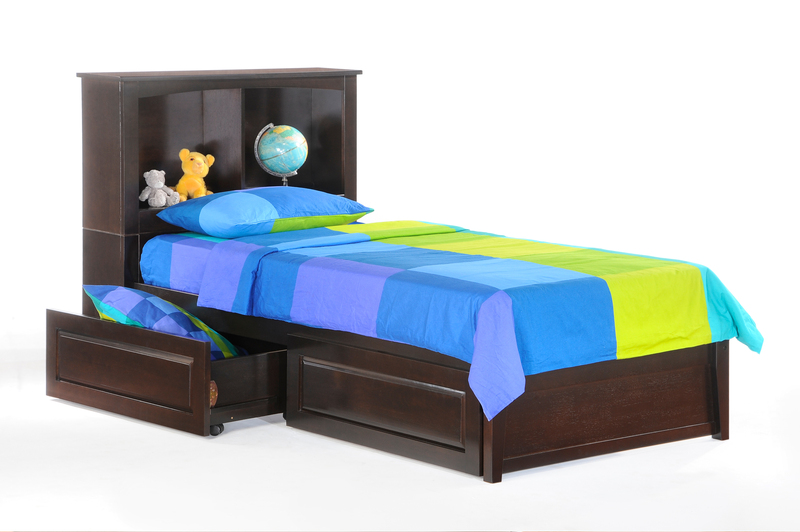 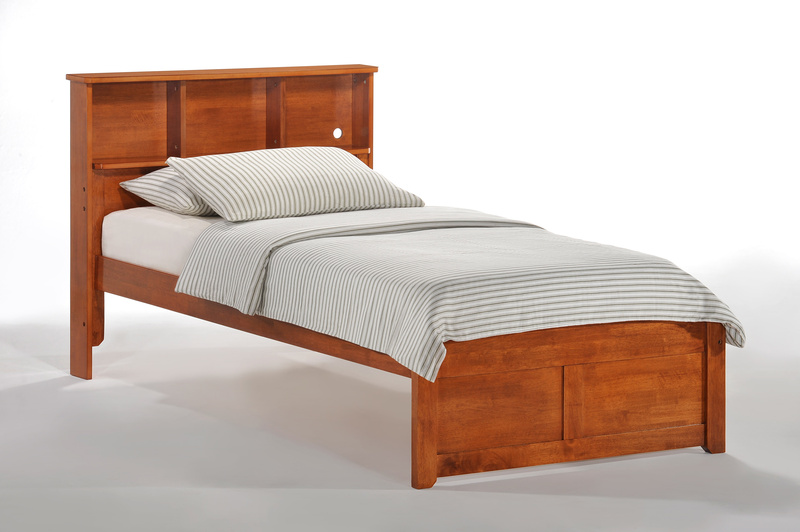 Any of these wonderful solid wood beds can accommodate 2 or 4 drawers or a trundle. 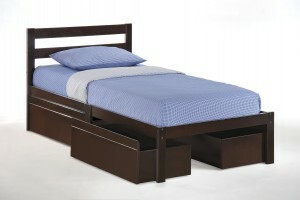 They come in cherry, white or dark chocolate and have a variety of case goods that can accompany the. These will be sure to turn any room into a space saving room.